This Yantra is dedicated to Lord Kuber who is the God of wealth and money, and hence bestows wealth, money and success in business as well as acquisition and accumulation of wealth. 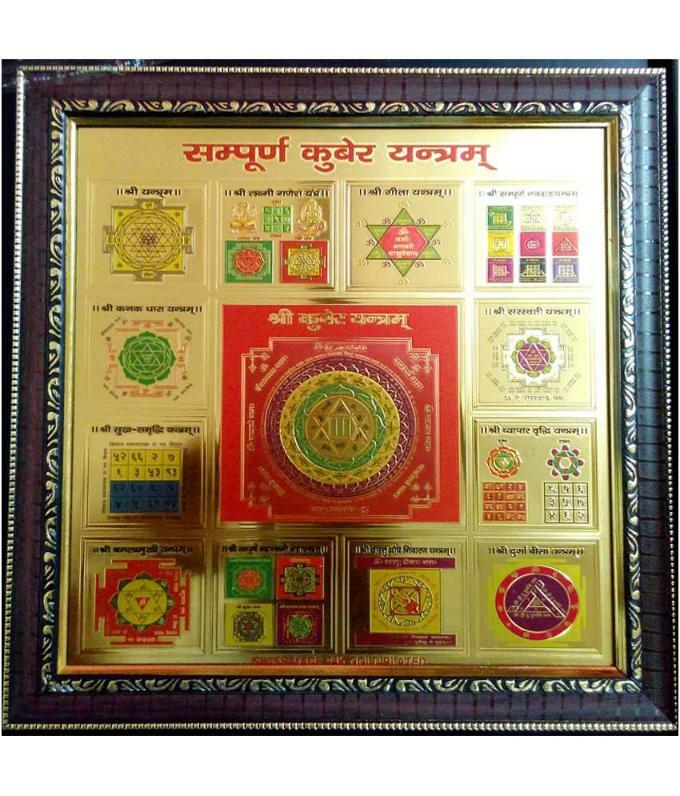 Sampurna Kuber Yantra has all the Yantras which are recommended in our ancient religious books to appease Lord Kuber. The owner of this Yantra is blessed with wealth & prosperity. It opens up avenues for new sources of income; increases fund flow & encourage accumulation of wealth. Bestows wealth, money and success in business. Helps in acquisition and accumulation of wealth. The owner of this Yantra is blessed with wealth & prosperity. It opens up avenues for new sources of income; increases fund flow & encourage accumulation of wealth.